Measuring and Assessing Well-being in Israel provides a description of the level, distribution, and sustainability of well-being in Israel. Drawing on the methodology developed in the bi-annual report on well-being in OECD countries – How's Life? – this report extends the methodology to provide in an-depth examination of well-being in a single OECD country. The report examines well-being in Israel in the context of the Israeli government's recent initiative to develop indicators of well-being, resilience, and sustainability, and provides a complementary account of well-being in Israel with a stronger focus on international comparisons.Going beyond a simple statistical description of the level and distribution of well-being in Israel, the report also uses Israel as a case study of how well-being measures can be used to identify areas of high policy relevance. In particular, the report analyses the preferences of Israeli citizens across the different dimensions of the OECD well-being framework. 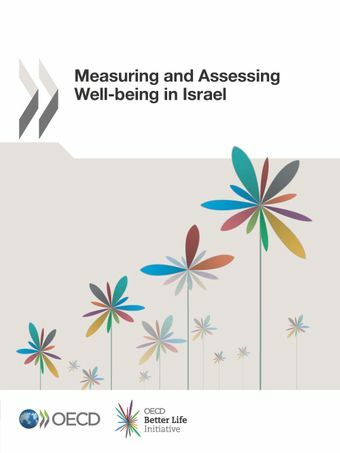 Finally, the report reviews the Israeli statistical system from the perspective of measuring well-being, and notes the key areas where further statistical development is desirable.Measuring and Assessing Well-being in Israel is part of the OECD Better Life Initiative, which features a series of publications on measuring well-being, as well as the Better Life Index, an interactive website that aims to involve citizens in the debate about what a better life means to them. How sustainable is well-being over time in Israel?